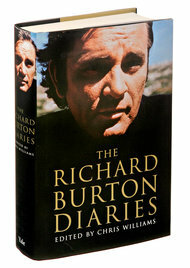 I’ve had the book since it was published but only just started reading The Richard Burton Diaries. I have always loved him as an actor ever since I first heard my mother’s record of his Broadway production of Hamlet in 1964. His Petruchio amused me so. And when I saw Who’s Afraid of Virginia Wolf, I was literally speechless. Now I’m beginning to fall in love with him as a writer. He was a curious beast. He wrote about what he saw and felt. He wrote about his desires. He was kind of gossipy and wasn’t shy about putting it to paper. He was proud of being Welsh. He had great disdain for acting. He was absolutely mad about Elizabeth Taylor. He was a voracious reader and loved learning. He drank way way way too much and knew it. I love reading biographies. Especially when written by the individual. One of my favorites is Sylvia Plath’s journals. I also enjoyed the journals of Michael Palin, written during the Python years. Kind of makes me want to journal in an entirely new way. Only I don’t write like that…if only. Reading Richard Burton’s writings has opened my eyes to a time in history when certain people lived ridiculously privileged lives. I am loving learning about the inner thoughts of a man I’ve admired, honestly since I can remember. I watched this wonderful documentary from BBC One Wales.